Is Decaffeinated Coffee Bad for You? How Does it Compare to Regular Coffee? 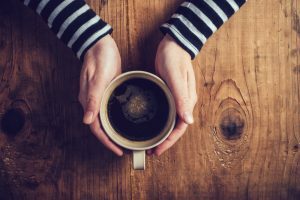 The debate to whether or not coffee is good for our health is one that is always a hot discussion, as it seems like the information regarding the topic conflicts from day to day. What is not up for debate though is just how popular this drink is, being the most consumed beverage across the globe along with tea. Some of us prefer the caffeine rush of coffee, while others prefer the taste or do so for the health benefits. For those of us who don’t drink coffee for the energy boost, there are decaffeinated versions which provide us with just as much nutritional value as the natural caffeinated form, and can be done without the use of harsh chemicals. Decaffeinated coffee is a great option for people who have trouble sleeping as well, as the caffeine molecule tends to bind to a specific receptor in the brain which encourages us to stay awake. Drinking the decaffeinated version of coffee seems to come with all of the positives without any of the negatives, but just how healthy is decaffeinated coffee really? What Health Benefits Does Decaffeinated Coffee Provide Us? 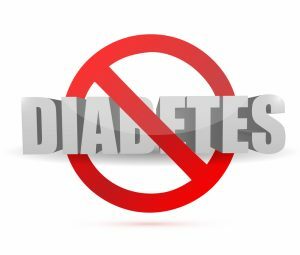 Type II diabetes is a disease which is becoming an epidemic in the western world, and is a disease which leaves us susceptible to many other serious diseases as well, such as obesity and cancer. A study published by the American Diabetes Association found that decaffeinated and caffeinated forms of coffee lowers an individual’s risk of getting type II diabetes. The reason why coffee has this effect on our health is because of the compound which it contains that are beneficial to glucose metabolism, as well as containing a significant amount of magnesium. Both of these aspects of coffee mean that it positively influences the cardiovascular functioning of the body. Both types of coffee are beneficial to our cardiovascular health, however research has shown that decaffeinated coffee may be slightly less effective here than traditional coffee. This is because decaffeinated coffee is stripped of some of its beneficial phenols during processing, however drinking the decaffeinated version can still be beneficial here. These antioxidants which neutralize free radicals help to protect the cells within inner lining of our blood vessels, the ones which are prone to receiving the most physical and chemical damage. Coffee also contains minerals such as calcium, magnesium and potassium which also are essential to blood pressure regulation, and the health of the cardiovascular system. Studies have shown that increased coffee consumption improves the functioning of the brain, specifically when it comes to memory. Caffeine has long been thought as the reason why our brain benefits from caffeine, as the chemical tends to keep us alert and awake. While this is true, this doesn’t necessarily account for the whole explanation as to why coffee boosts brain functioning. Coffee, including the decaffeinated versions contain a while host of antioxidant compounds which improve blood circulation in the brain, which also allow it to function at a higher level. One major problem that people have when it comes to drinking coffee is having to frequently go to the bathroom, especially if they drink it on an empty stomach. This is because caffeine is a natural diuretic, or something that encourages urination. Caffeine inhibits the release of a hormone known as ADH, or anti-diuretic hormone. This is the hormone which is secreted by the pituitary gland to regulate the fluids within the body. Inhibition of this hormone means that the body in unable to reuptake much of this fluid back into the body, causing us to urinate more often. Decaffeinated coffee on the other hand doesn’t have this problem, so it is something that you can enjoy multiple cups of throughout the day without having to worry about that frequent urge to go. What Side Effects Should I Worry About When Drinking Decaffeinated Coffee? Most of the studies conducted on coffee are done on the caffeinated varieties, as these are the most popular types consumed by people. While there aren’t too many studies based just on decaffeinated versions, the ones which focus only on this type don’t show too many harmful side effects from drinking this beverage. 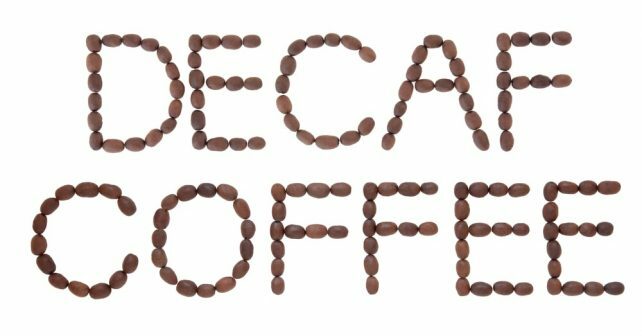 One major concern that everyone should have while drinking decaffeinated coffee is nutrient depletion, as is the case with normal coffee. Regular coffee is a diuretic which causes us to urinate more frequently, and thus lose more nutrients while doing so. Decaffeinated coffee isn’t as bad as regular coffee in this respect, however regularly drinking the beverage increases our risk of developing a fracture. Coffee decreases the body’s ability to absorb calcium, which increases the risk of breaking a bone. It has also shown to decrease the body’s ability to absorb iron as well, which can affect our production of red blood cells. When considering the effects that coffee has on our health, it all really comes down to the timing. While consumption of coffee along with a meal isn’t preferable as far as the absorption of nutrients like iron and calcium are concerned, just waiting a short period of time before doing so can have little effect here. Waiting to have your cup of coffee till after your body has full digested your meal can make all the difference as far as nutrient absorption is concerned, so hold off an hour or so after eating before having that cup of coffee to make the best of it.